Thread: A New Smart Car Electric Vehicle: Why, Yes. Yes, It Is. The Smart car brand unveiled a new-generation Smart electric vehicle at the Paris Motor Show, to go on sale in the United States in 2017, starting with the hardtop version in the spring, and a convertible in the summer. 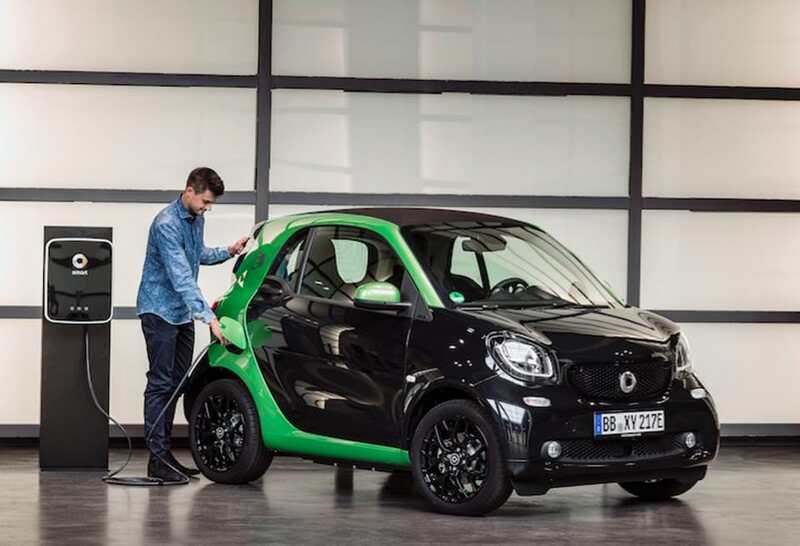 The new version, the 2017 Smart fortwo coupe electric drive, recharges in less than half the time of the model it replaces, although that’s still 2½ hours. The company claims a range of about 99 miles on a full charge. That’s based on European testing; the numbers could change according to U.S. Environmental Protection Agency standards. Pricing for the 2017 model will be announced closer to launch, but suggested retail for the 2016 model is $25,925. That includes $925 destination charge, but the sticker price does not reflect substantial tax breaks including a $7,500 federal tax credit, available for buying an electric vehicle. Incidentally, smartusa.com was advertising a $139 monthly lease payment for the hardtop, or $199 for the cabriolet, through Sept. 30. Competitors include the Fiat 500e, the Nissan Leaf, the Volkswagen eGolf and the Mitsubishi i-MiEV. The first commercially available Smart EV was long in coming, considering the Smart car was conceived more than two decades ago with electric drive in mind, along with the ability to accommodate other alternative drivetrains. The Smart fortwo is close to the original concept. Parent Mercedes-Benz also offers the bigger Smart forfour, which is not available in the United States. A central part of the original Smart design was to put the drivetrain under the floor, so the Smart could be built in different configurations without disrupting the interior. The first Smart EVs went on sale in the U.S. market in 2013, after a long period when Smart EVs were in U.S. test fleets.